The Summary of the Bulletin of the ISC is a biannual printed product that replaced the previous paper-based Bulletin that listed hypocentre solutions and station readings published by the ISC. It is published soon after the analysis of the Reviewed ISC Bulletin for the corresponding time period is completed by the ISC analysts. The Summary is published two or three times a year. For the first two months after publication it is only available to ISC members and Summary subscribers. After two months it is publicly available online. 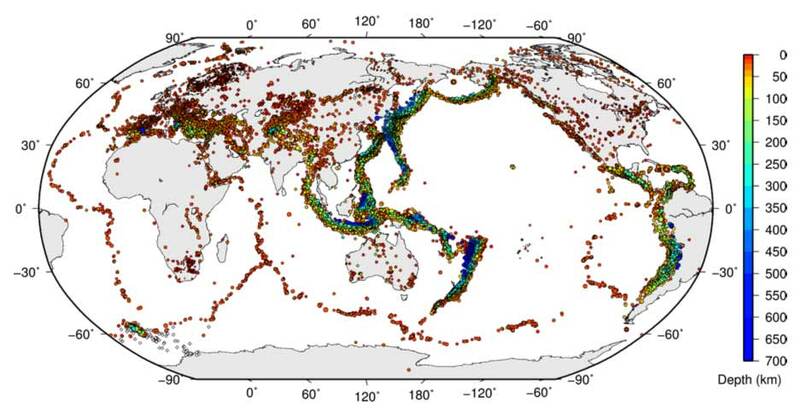 Figure 9.10: Map of all hypocentres collected by the ISC for the period Jan-June 2010. 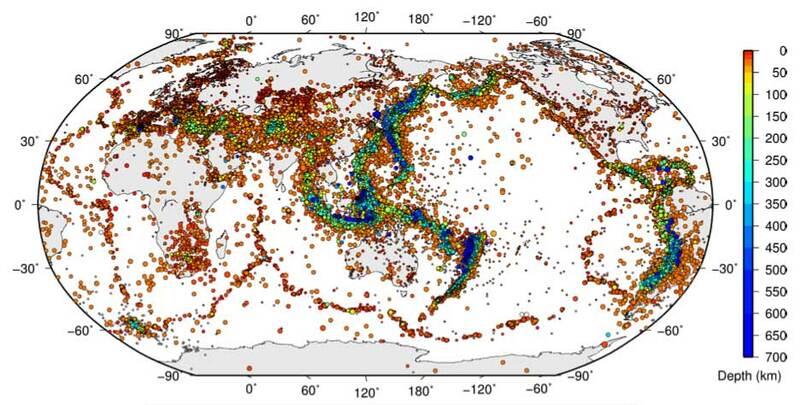 The scatter shows the large variation of the multiple hypocentres that are reported for each event. Compare with Figure 10.2 Figure 10.2: Map of all events in the ISC Bulletin for the period of Jan-June 2014. Prime hypocentre locations are shown. Compare with Figure 9.10. Data prior to 2010 have been summarised in various poster presentations. A selection of these annual summaries are shown below. Details of where the posters were presented may be found on the papers and presentations page.